The Ruby series by Sunstone features all 304 grade stainless steel construction, seamless edging and modern styling. The Ruby Pro Sear 4-Burner grill comes with four all 304, 11 gauge stainless steel fabricated I-Burners with 60,000 BTUs with each burner having its own flame thrower ignition. The exclusive 304, 18 gauge solid stainless steel variable rod cooking grid spacing allows for larger food items on the left and right sides of the grilling surface and smaller food items in the middle. The exclusive Pro Sear Thermal Cooking Grid delivers 800 degrees of heat across the entire cooking grid and preheats the grill in under 3 minutes. The angled heat riser warming flame tamer grids radiate heat toward the front making for a more even heat grilling surface and also drain drippings toward the rear Spill-Away reducing flare ups. The control panel features LED accented lighting with easy drop open service panel and heat buffer front rim making night time grilling easy while keeping the heat away from the control knobs. Other features are the back hood wind guard, extra bright interior halogen lights, full width roll-along drip pan and tilt-away warming rack. Cooking Grid Dimensions 33 1/2 X 19 1/2"
Sunstone stainless steel burners, cooking grids and housings are to be from defects in material and workmanship when subjected to normal domestic use and service for the lifetime of the original purchaser. All other grill components including ignitors, knobs, valves and tubing are warranted for a period of one (1) year from the original date of purchase. I have been searching for a good outside grill and I am very happy with the quality as well as the functionality. It has all the features I was looking for, very high temperature, a pro sear burner, the flame tamers do work well. The LED lights are added features great for cooking at night. I had to call for questions about the rotisserie and the staff at Sunstone was very helpful and professional. I have been grilling for 2 months and I highly recommend this grill. Great Grill. Really well made. 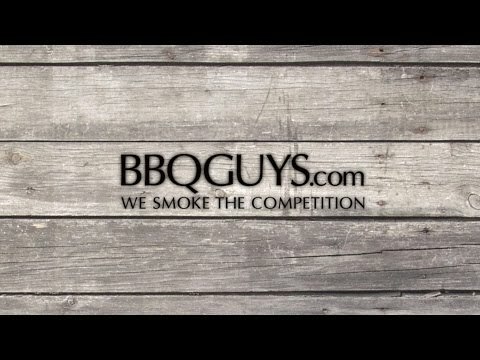 Researched grills carefully and spoke to companies as well as the informed representatives at BBQ guys. Was very impressed with customer support at Sunstone Metal Products who were very generous with time, information and support. Made me feel great about buying the grill. Delivered without any damage and a beautiful machine. Looks like a million bucks and I bought Sunstone accessories. Looks like a million bucks in my new outdoor backyard kitchen and patio! I received the grill and the knobs/valves were not centered with the knob rings, so they wouldn't function properly. Called Zeke in customer service and he sent the needed parts and a grill tech out to repair the grill. Just grilled a great Tri-Tip roast to perfection on the Sear Burner. Its all great and I really appreciate Zeke handling the problem and sending me some additional products. If you could make a splatter pan to inset for the Rotisserie use to inset when one removes all the grill workings that would be great to keep the drippings localized for easy cleanup. Say one that just drops into the open rectangle of the grill. 33 1/2 X 19 1/2" 29 1/2 X 17 7/8" 30 X 19" 33 1/4 X 17 1/4"
33 1/2" 30 5/8" 31" 32 1/2"
22" 21 1/4" 21" 20 1/2"
10" 8 1/2" 9 1/2" 10 1/4"